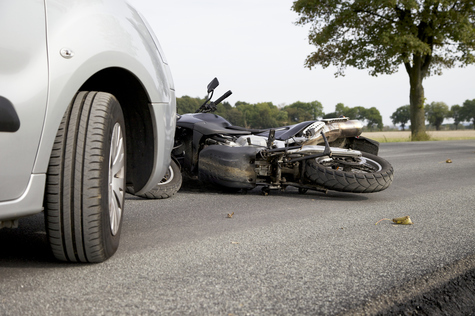 Injured motorcycle riders and passengers have depended on Angotti & Straface Attorneys at Law L.C. for over six decades to ensure that negligent drivers and other at-fault parties are held fully accountable for their actions. If your helmet or protective gear failed to safeguard you adequately during the accident, you may also have a basis to file a claim against the product manufacturer. Our team has extensive knowledge of how the laws affect your rights and your ability to claim fair financial compensation for your injuries, including medical expenses, lost wages, damage to your motorcycle and possessions, pain and suffering, and all other losses that you are eligible to recover as an accident victim. As West Virginia’s top motorcycle accident law firm, we are trusted to handle these serious cases because we are uniquely qualified and determined to work in your best interests at all times. We are fully prepared to take your case to trial if necessary to ensure that you receive the money necessary to help alleviate as much of the devastation as possible that has been inflicted on you and your family. Our experienced team has a mastery of all applicable laws and we conduct an exhaustive investigation of the accident to gather evidence to prove your case. Our accident re-constructionists, skid mark analysts, engineers, and research team work together to establish cause and liability for the accident. If your case proceeds to trial, we will prepare and present an accurate digital animation based on the actual data collected to support your case to the court. In addition, our medical professionals are able to determine the comprehensive injuries that you have sustained, as well as the financial impact that you will encounter in the future as a result of the accident. Angotti & Straface are dedicated to serving our injured clients’ needs from our initial consultation through settlement or until a verdict is reached. We never charge a fee unless we recover damages on your behalf. Your accident will change your life forever, and our legal team is ready to fight to ensure that you have access to necessary medical treatments and are able to recover financial compensation for all of your losses, including the pain, suffering, and disability that you may deal with for the remainder of your life. In court, we will prepare a presentation to demonstrate the severity of the accident and how it has impacted your ability to function, as well as the effects that the accident has had on your family. Contact our law office to schedule a complimentary consultation to discuss your case: (304) 292-4381. We demand full compensation for our clients and will not take “no” for an answer. Hospital and home visits are available in Huntington, Charleston, Parkersburg, Wheeling, Morgantown, and throughout West Virginia for those who are unable to come to our office.